Charge like a Pro with Magnum Snaps E-Pack Black Portable Charging Case! 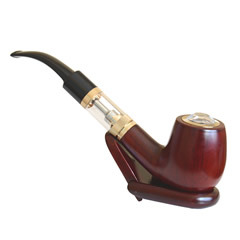 One of the advantages of vaping is the opportunity to prolong the smoking experience. Unlike traditional smoking, you can always charge your vape unit or electronic cigarette whenever it runs out of power. If you own a collection of high-quality e-cigarettes and you want to increase your vaping time, you should consider getting a Personal Charging Case or PCCs. In the current market, you can encounter hundreds of PCCs—all with different variations, charging specifications, and quality rating. To save time, check out the Magnum Snaps Black E-Pack PCC. The Magnum Snaps PCC uses the patented SNAPS technology which gives the unit its magnetic, screw-less design. 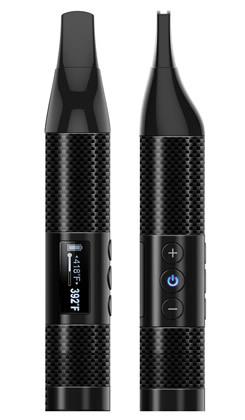 This allows you to charge your electronic cigarette by simply putting it in the case - the magnetic system will hold the e-cig in place and jumpstart the whole charging process.It has 540mAh battery with a high-discharge setting to ensure that you can charge quickly without shorting circuits inside your electronic cigarette. The lifespan of the Magnum Snaps PCC is strengthened to deal with frequent usage. In approximation, the PCC can run for up to 420 charge cycles. This is considered a long lifespan, since other PCCs can probably have lower than 300 charge cycles. 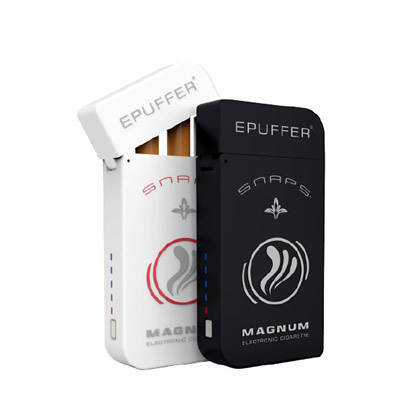 The Magnum Snaps E-PACK can store a fully-assembled electronic cigarette, and both a spare battery and cartomizer. 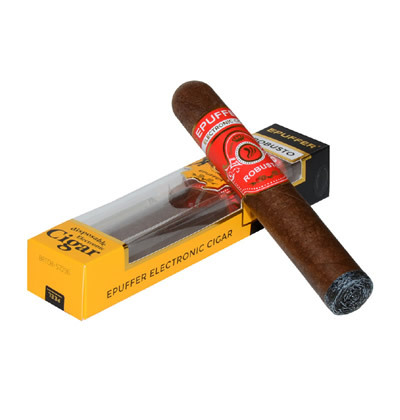 With the electronic cigarette ready, you can start vaping for hours without interruption, except if the power of the e-cig runs out. A high-quality PCC should always be included in your traveling gear, alongside your electronic cigarettes and various vape accessories. The PCC is small and compact, so you can place it in your pocket, leather case or virtually any other pouch. It is also notable that durability is not an issue with the Magnum Snaps PCC.